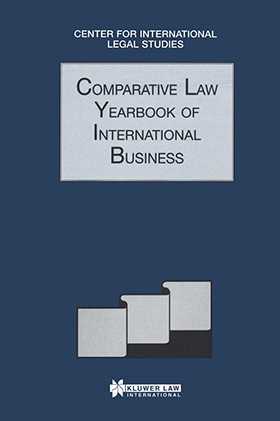 The 1998 volume of the Comparative Law Yearbook of International Business contains chapters covering a wide variety of legal issues. The first section deals with contractual matters, including joint venture contracts, agreements relating to agency, distribution, licensing and franchising, time sharing and preliminary agreements regarding the buying and selling of property. The second section deals with the privatization of former state-owned companies and monopolies, such as media organizations. Under the heading of `Corporate Law', joint stock companies, sub-chapter S corporations, takeovers and new company legislation are discussed. The section on securities and investment deals, in particular, with the area of foreign investment, including tax incentives and the regulation of investments. There is also a section on taxation, which concentrates on offshore jurisdictions, and a section on general commercial issues. The topics covered in this final section vary to include technology transfer, evidential procedures, free trade areas, the regulation of resources, anti-trust matters, dispute resolution and new commercial legislation.